The Scottish Premier League hardly covered itself in glory throughout the Rangers’ saga in 2012 when the future of our institution lay in the hands of the football authorities and their member clubs. 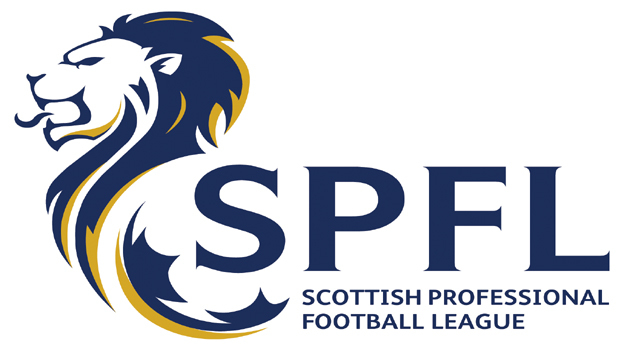 The SPL decided that “sporting integrity” was paramount, a rather noble thought, before ironically and disgracefully attempting to blackmail Scottish Football League clubs into neglecting the same principles they had been trumpeting so vehemently themselves. Not content with their role in blackmailing and threatening SFL clubs, the SPL then decided that the same tactics should be deployed on Rangers. This of course included the corrupt plot to force Charles Green & Co into surrendering league titles in exchange for membership, and that is something that we should never allow to be forgotten. The SPL proceeded with their “title-stripping investigation”, a witch-hunt if ever there was one, and commissioned an independent panel chaired by Lord Nimmo Smith to arrive at a conclusion and set the appropriate punishment, if any was required. This unfortunately took quite some time however, in the end, Green’s firm stance was vindicated and the SPL were made to look rather foolish. The independent commission concluded that “those side-letter arrangements were required to be disclosed under the Rules of the SPL and the SFA”. It continued: “Rangers FC did not gain any unfair competitive advantage from the contraventions of the SPL Rules in failing to make proper disclosure of the side-letter arrangements”. Title-stripping was therefore never an option, much to the disappointment of the SPL and Rod McKenzie I’d imagine. The verdict announced that “there is no allegation that the current owner and operator of the club, The Rangers Football Club Ltd (Newco), contravened the SPL Rules or could be held responsible for any breach by Oldco. […] In all circumstances the Commission has imposed a fine of £250k on Oldco”. Despite the above verdict it has emerged via a leaked document that the SPFL recently considered ignoring the decision handed down by the independent commission and shifting the fine onto Rangers’ current company by using the Five-Way Agreement as justification for their actions. Despicable stuff. The reason for this is simple. It is not about integrity. It is not about justice. This, I’m afraid, is simply about money. The leaked email alluded to the fact that the fine would not be granted any preferential creditor status by BDO and thus would never be paid in full. As such they have looked to move the goalposts and once again blackmail Rangers into paying the fine despite the clear conclusion by their own panel that we could not possibly be held responsible. Rangers have done enough to fund the SPL / SPFL in recent years. They blackmailed the club into waiving the prize-money due – not inconsiderable sum – and managed to swindle the right to show our games despite the fact that we were not part of their league. We continue to prop up their television deal despite our almost non-existent share of such revenue and yet they still want to exploit our club as a means of financing their failing organisation. They didn’t need us though, remember? Given the facts laid out above it should be utterly preposterous to even contemplate the possibility that the SPFL have actually considered, or have even decided, to take action on Rangers. Sadly though history tells its own story and wouldn’t surprise me if they went down this road. Should the SPFL approach the club over the payment of the £250k then I sincerely hope that the board will be swift and decisive in telling them exactly where they can shove their fine. We need only show them the result of their own investigation to prove that their claim is baseless and without merit. Surely they wouldn’t want to follow the SFA’s example and breach their own rules? It would beggar belief. People have spoken of building bridges within the Scottish game and allowing past indiscretions to be treated as water under the bridge. I can see their point, I really can, but how can we look to mend relationships with people who continue to strive to damage our club and abandon the basic principles that should be upheld by any semi-competent governing body? The SPFL might be a new brand but clearly efforts to polish the turd that was the SPL have proven unsuccessful. New name, same old toxic behaviour.